Education Costs > How Much Do Piano Lessons Cost? If you would like your child to learn how to play the piano, or if you are looking to learn yourself, piano lessons will be your best option. When deciding on a teacher and on a price you’re willing to pay, you should take a few things into account. First, what are the qualifications of the teacher? How long has he or she been teaching and what is the level of their education? Secondly, you should talk to a few of their students and see what success they have had in the past. Finally, you need to decide what the purpose of piano lessons is – are you hoping your child will go somewhere with piano playing someday or are you just allowing the child to learn something new and be well rounded? The price for piano lessons in the United States can range anywhere from $25 per 30 minutes to up to $100 per hour. This price range is comparable to the price in other countries as well. The most commonly paid and charged price is $25 per 30 minutes. For a teacher that may have a Master’s or Doctorate degree, this hourly rate can go up. We talked with a few piano teachers around the United States and came up with some quotes. You can view them in the table below. For example, if the teacher has a master’s degree, the piano lesson cost can be as high as $60 per half hour. The Eastman Community Music School, for example, charges $40 per hour for an intern or $58 per hour for a teacher. For a beginner or a small child, lessons that are longer than a half an hour will probably be too much. Hour-long sessions should be used for more advanced players. Most people offer piano lessons once a week, sometimes twice. For do-it-yourself lessons, books and DVDs can start at $10 and go up from there depending on the type of lesson purchased. There are also online websites that can offer virtual lessons for a minimum monthly fee. For example, Alfred’s Teach Yourself To Play Piano retails for $20 to $30. According to the website ParentsMusicGuide.com, the lessons can range anywhere from $15 to as much as $100 per hour. Teachers with advanced degrees will likely charge more, while a college student may ask for a lower rate. Like most things, the geographical location can play a role. Larger cities, such as Los Angeles, will cost more than Iowa. If the teacher has to come to your home, the cost will be higher due to the traveling. For those who visit the teacher directly, the cost can be lower. Learning to play the piano should include learning how to read music as well as learning the notes on the piano. There are two types of methods that teachers use. One method, known as the Suzki method, will allow you to play by ear. The traditional method is by reading notes in a book. Most lessons include practicing specific songs as well as finger exercises that help with coordination. Most teachers will assign a specific amount of practice time to be completed each week. When a teacher arrives either at your residence or the student arrives at the facility, the teacher will have a lesson plan ready. Because children learn more quickly than adults, lessons for adults can sometimes be more expensive. While some teachers may lend the student a few piano books, most require that you purchase piano books according to your level of play. This can cost $5-$15 per book. 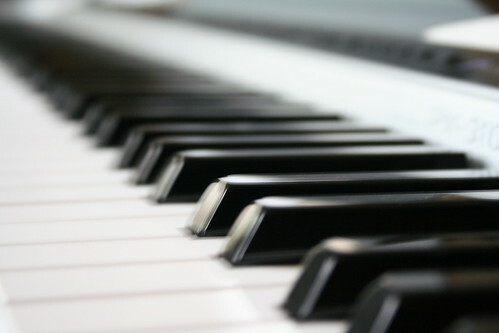 In order to practice playing the piano, you will need to have access to a piano. Pianos can be rented or purchased. For more information on purchasing a new piano, read “How Much Does a New Piano Cost.” Purchasing a lower-end piano can be done for less than $200. Some teachers may offer the student the opportunity to play in a recital or concert. These type of events may have a participation fee that starts at $5. Before hiring a teacher, ask them what their experience and education background is. This will give you a good idea on what they can do for you in terms of lessons. A cheap lesson with an inexperienced teacher can really show. Ask for referrals and ask to see a sample lesson guide to give you a good idea on what you’re going to be able to learn. Ask the teacher what kind of method he/she uses. Some of these methods will include Traditional, Alfred’s and more. Each method is unique in its own way. One way to save money on piano lessons is to teach yourself how to play. There are many books that you can use, such as Alfred’s Teach Yourself to Play Piano (Book and DVD). Learning on your own is going to take a lot of discipline, but it can be worth it if the right materials are purchased. Consider talking with a college student to see if they can offer music lessons at a discounted rate. Check with local colleges or even online through sites such as Craigslist. Many teachers will be more than happy to give a discount to those that pay in bulk. If you’re unsure of who teaches in your area, you may want to use service such as HomeAdvisor.com to find the best price possible. Some teachers will off your discounts if you purchase in bulk. For example, if you were to purchase 12 lessons ahead of time, this could save you up to 20 percent.